All pet parents can agree that scooping litter is the “stinkiest” part about having a cat (especially in a cramped apartment). Most people don’t even realize that with traditional litter boxes, you should be scooping at least once a day. 1. You never have to scoop litter again (AKA, it saves you tons of time). 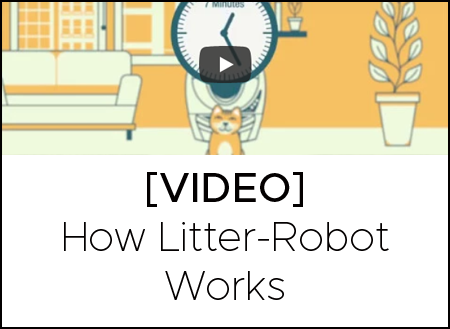 The Litter-Robot is actually self-cleaning. 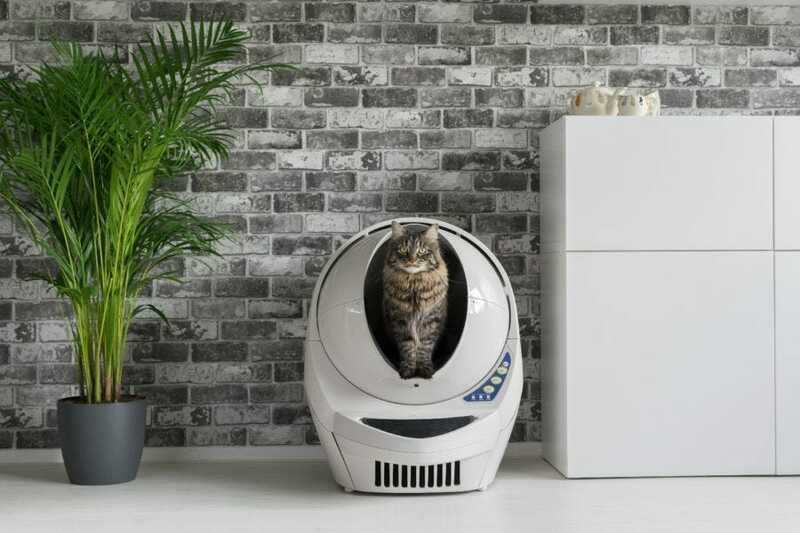 Unlike other automatic litter boxes, the Litter-Robot features a patented sifting system that harnesses gravity to separate waste from clean litter, depositing the clumps into a waste drawer for easy disposal. Cleaning the litter box is now as simple as changing a kitchen garbage bag! 2. It’s ideal for small living spaces. 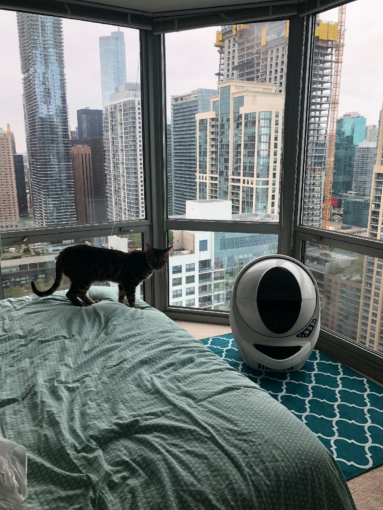 With dimensions of 29.5″H x 24.25″W x 27″D, the Litter-Robot can easily fit in a small apartment, bedroom, or bathroom—all while promoting greater odor control than traditional litter boxes. Plus, you no longer need more than one litter box, because it provides a clean bed of litter for your cat after every use. 3. It’s super easy to use. The Litter-Robot arrives fully assembled—essentially, all you have to do is add litter and plug it in. 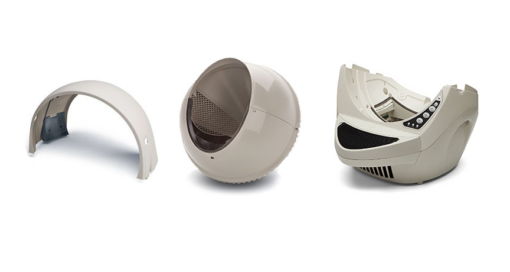 Our Quick Start Guide makes it easy to identify all your Litter-Robot components, ensure its proper placement, and know how much litter to add. It also provides you with tips on how to acclimate your cat to his cool new litter box! 4. It greatly reduces litter box odors. The telltale litter box smell spreads far in a small apartment. 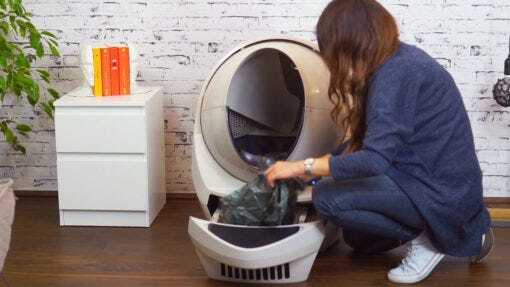 The Litter-Robot sifts waste within minutes, so typical litter box odor is significantly reduced. Additionally, a large carbon filter located in the front of the waste drawer absorbs odors and moisture. 5. It helps your cat keep clean paws. 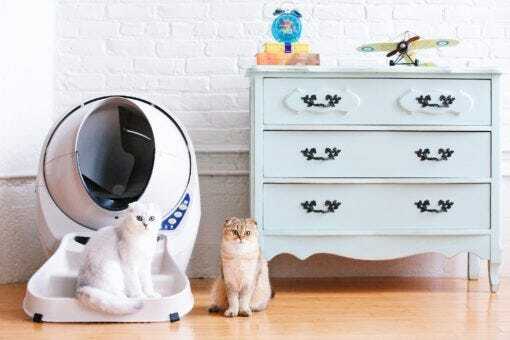 The Litter-Robot has an adjustable clean cycle timer, leaving your cat a clean bed of litter after every use. So no more dirty paws that track litter all over your countertops! 6. It’s perfect for multiple cats. 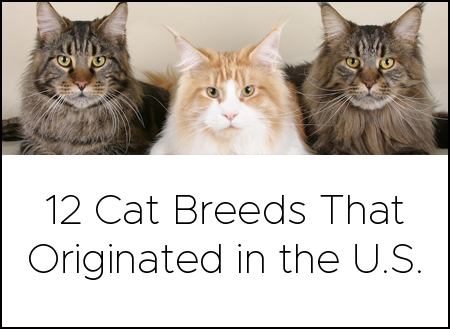 Having multiple cats no longer equates to needing multiple litter boxes. 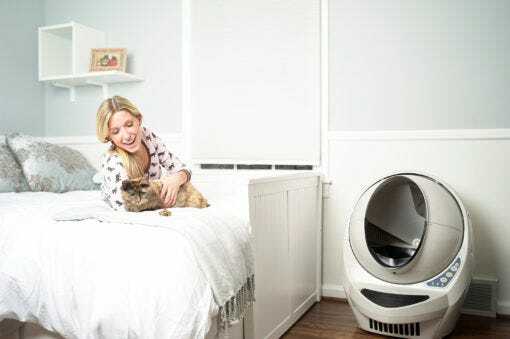 One Litter-Robot is perfectly suited for up to four cats, and the consistently clean bed of litter is great for even the most territorial felines. 7. You’ll save money on litter. 8. You can monitor and control it from your phone. The Connect app allows you to remotely monitor and control a single Litter-Robot or multiple units. 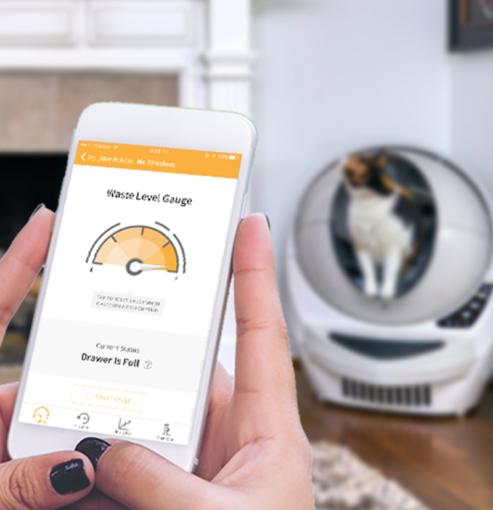 You can view the waste drawer level, get notifications, troubleshoot, and see complete usage history for insights into your cat’s health. 9. You can use any clumping litter you’d like (and any trash bag). 10. It helps your cat find the bathroom at night. 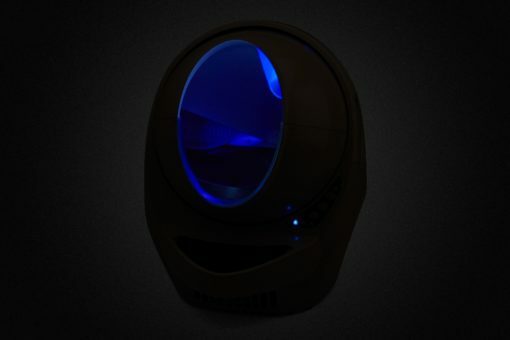 The Litter-Robot has an automatic night light that will help your elderly cat find her bathroom in the dark. You can also make the Litter-Robot more accessible with a fitted ramp, which provides a gentle entry into and out of the unit. 11. It’s easy to clean.